Hey Boss! We're entrepreneurs just like you and we know how it is: you want to spend your time working with your clients and earning money. You DON'T want to spend all day organizing meetings, responding to emails, doing admin tasks, and making mashed potatoes (or anything like that). And that's why we built Book Like A Boss. We believe it should be as easy as possible for your clients to book your time and pay for your services. "Quick shout out to say I LOVE Book Like a Boss! Easy to use, easy to customize, and I love the option of being able to embed a service on my site." "I tried out many online scheduling software options for about a year now. Yours beats out all the competition by far!" "I can't fathom not loving and using this service for the rest of my tenure in business. Keep up the great work and keep rocking!" At Book Like a Boss, we all have a background in entrepreneurship and consulting. We would have clients coming to us to ask for advice, to discuss our services, and book our time. The problem was, all those hours spent replying to emails, adding meetings to our diaries, and negotiating payment was taking a big chunk out of our days. And that was time and money wasted. And so we did what any good entrepreneur would do: we started looking for solutions. We tried integrating our calendars with our websites. We tried to add payment systems and shopping carts to WordPress. And when we realized how long it was going to take, we even considered asking a software developer to build it for us. Then one day, one of our friends – a masseuse – came to us saying she had the same problem: did we know of any tools that could just be added to her website so customers could book her time? And that's how Book Like a Boss was born. 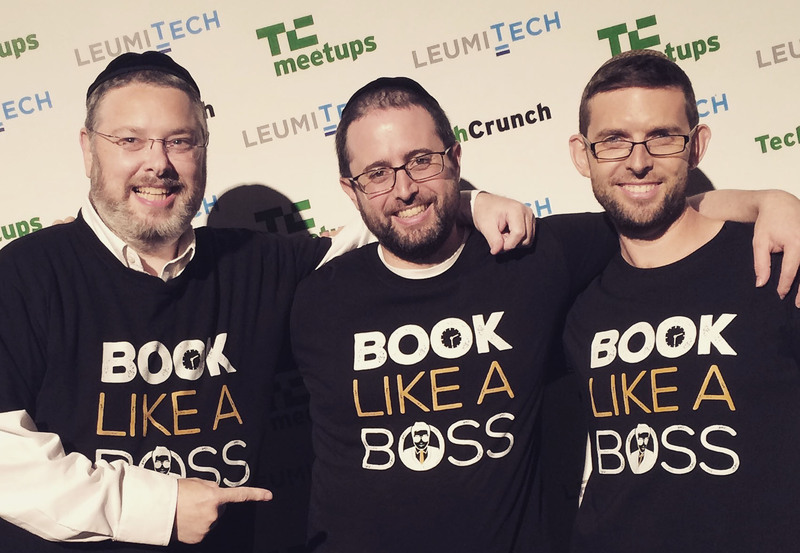 Our founders – Nachum, Dovid, and Lloyd - began building Book Like a Boss in May 2016, and launched a beta version of the tool in May 2017 on AppSumo. Since then, thousands of entrepreneurs and freelancers in over 50 countries use Book Like A Boss as the solution for their service based business – from consultants to cake-bakers, masseurs to marketers, dog-walkers to data scientists. And, our team has grown too. We now have a Vice President of Everything, a team of awesome marketers spreading the word, and some amazing programmers constantly adding new updates and improvements. We also launched Bossitude.com – a unique online resource which provides entrepreneurs, startups, and freelancers with fresh advice to grow their businesses fast. One of the major reasons anyone launches a business is to be their own boss. Being your own boss is about taking on a philosophy that we call 'bossitude'. The 'bossitude' philosophy is all about deciding which projects you want to work on, which clients you want to work with, knowing who you are, and what you want to do. So, when we called ourselves Book Like a Boss, we wanted to underscore that independent bossitude mindset. We launched this company to help bosses be bosses – and that means us too! When we make decisions about our tool, we make them for ourselves and for our customers – and not because some investor thinks this is what our startup needs.